I don't know about you, but I absolutely live for the holidays: Halloween, Thanksgiving and most importantly, Christmas. Every year around this time, I anxiously start waiting for Christmas music to come on the radio and I start thinking about what to wear in our family Christmas Card photo. I mean......you can never be too prepared! It truly is the hap-happiest season of all. Ever since I was a kid, the family Christmas card has been my responsibility. The outfits, the design, the addressing of the envelopes. I've always loved every part of it! Now that I have my own little family, I love it even more. Covering the fridge with friends and family always fills me with holiday cheer. Since we will be in a new house for the holidays this year, I'm already thinking of new holiday traditions to start like a Friendsgiving, a Christmas Cookie Exchange or a Holiday Dinner Party. There is so much fun to be had! 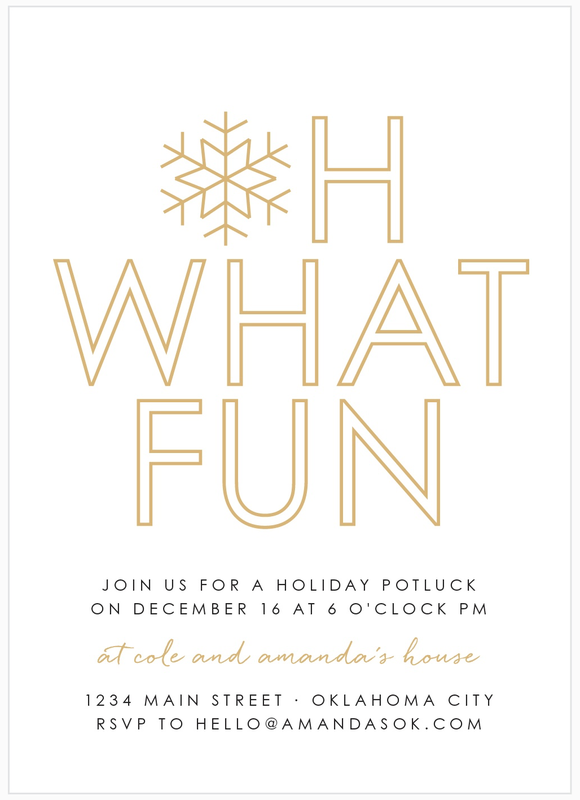 Obviously I'll need cards and invitations for all these holiday festivities and there's no better place to get them than Basic Invite! 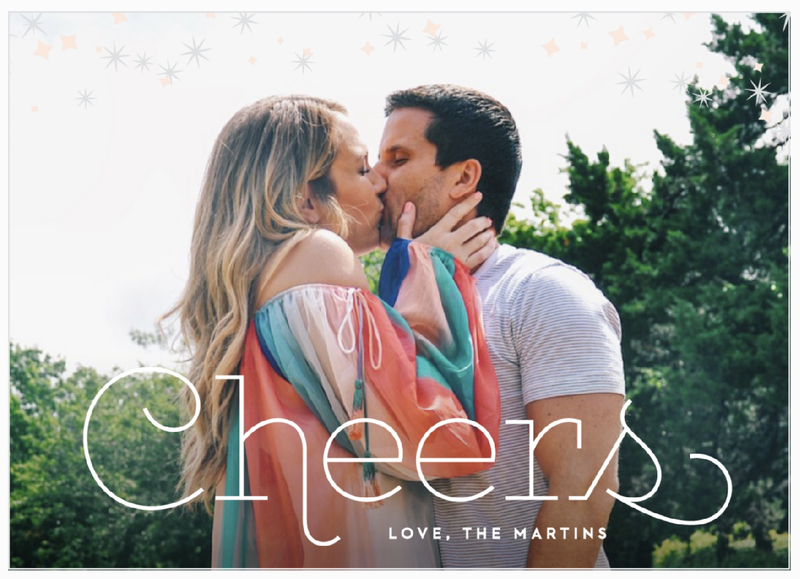 Being a creative and designer myself, I appreciate high-quality designs and the ability to customize the cards to fit my style and highlight the photos I choose to use. 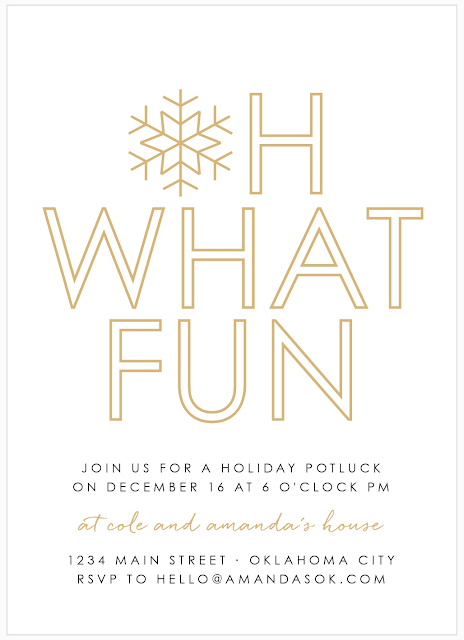 Basic Invite is one of the few websites that allows a ton of customizable color options with instant online previews - it is so easy to upload a photo and edit the text and colors to match. They even offer foil print (flat or raised) in gold, silver and rose good. Swoon! 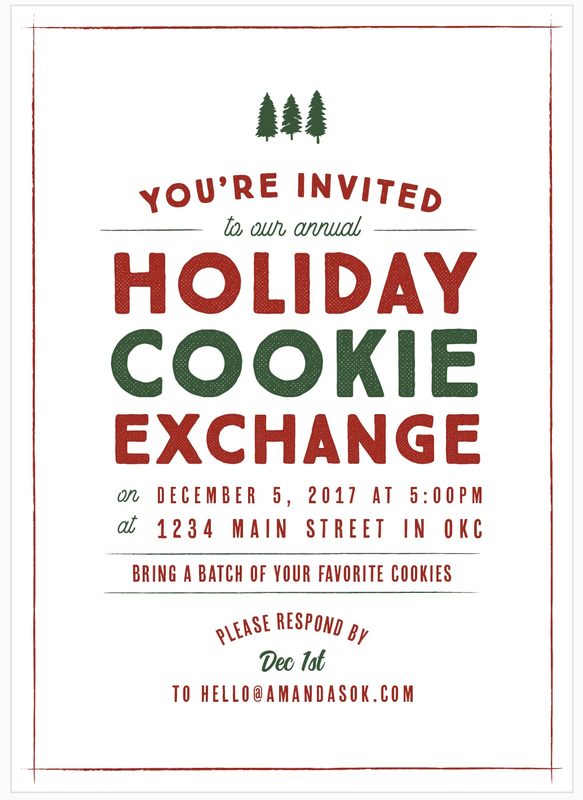 It may be silly, but I'm super excited to use Basic Invite's envelopes this year - they are peel and seal, so there is no licking required!! 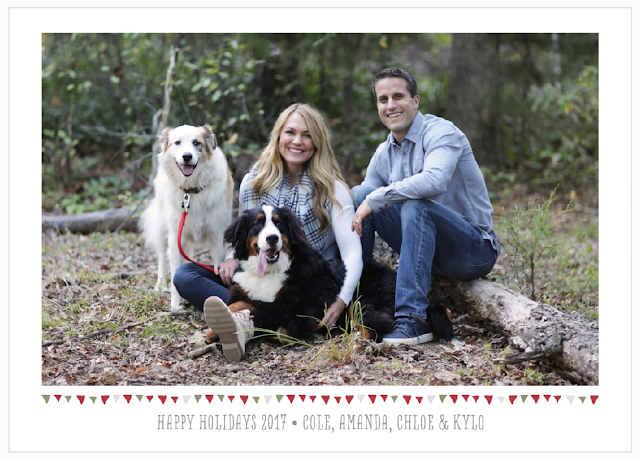 Plus, they come in a variety of colors to match the design of your holiday photo cards or your holiday party invitations. They will even print the addresses directly on the envelopes for you for free if you use their address capturing service. Sign. Me. Up. 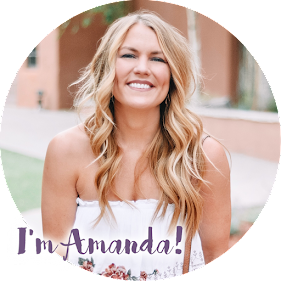 I had so much fun playing around on their website and designing cards and invitations. 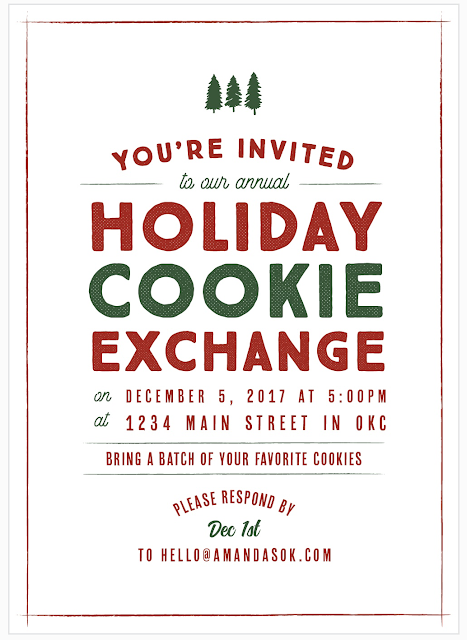 I've basically convinced myself to host a cookie exchange just so I can send out the vintage Christmas party invitation above. Who wants to come??! I'm totally serious. Right now, Basic Invite is offering 30% off with coupon code: holi30. I'll be placing my order ASAP - now I just have to decide what to wear for our Christmas card photo shoot coming up! Hope you're having a wonderful week - thanks for reading! This post was sponsored by Basic Invite. As always, all thoughts and opinions are my own! These are so cute! 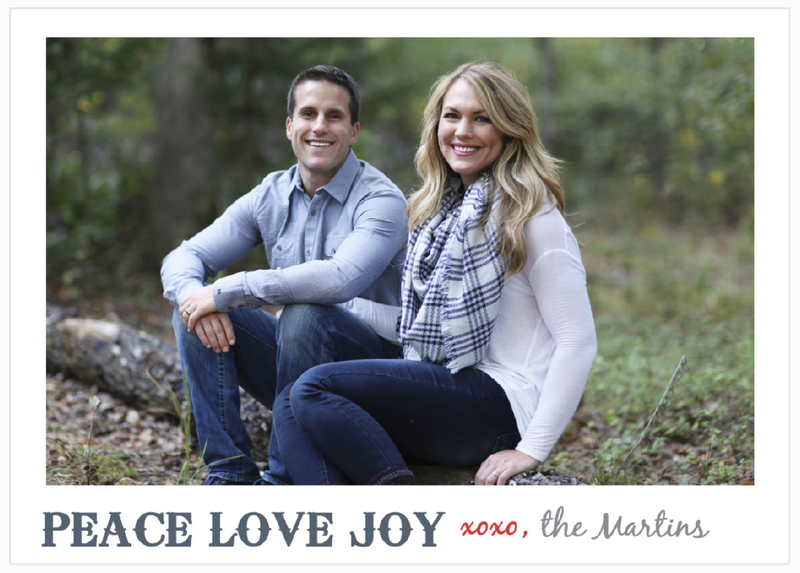 I need to start looking for holiday cards.